More than 9,000 students of the University of Colorado in Colorado Springs pursue their degrees next to one of the most awe-inspiring sceneries in the country - the Rocky Mountains. Ninety-one percent of beginning full-time students receive financial assistance, with the average freshman financial aid package amounting to $7,865. Colorado residents and incoming freshmen may qualify for the Bruce & Anne Shepard Reach Your Peak Scholarship ($3,500 per year). Community college transfer students are eligible for the Reisher Transfer Scholarship ($8,000 to $22,000 over two years). Students who are paying out-of-state tuition may be considered for the Provost Scholarship. This is a merit-based scholarship with a maximum amount of $20,000 over four-years. Colorado State University at Fort Collins was ranked 61st among all public colleges nationwide according to the 2017 U.S. News rankings, and Kiplinger's 2016 Best College Values placed it in the top 100 for public colleges. Students will find many ways to make their education more affordable here. Students from neighboring states may be eligible for discounted tuition under the Western Undergraduate Exchange program. Incoming freshmen are eligible for merit scholarships based on their high school GPA and test scores, and these awards may be renewable. The college also administers need-based grants including several state programs and federal Pell Grants. With a large campus, the university also has plenty of work-study opportunities. The 247-acre Fort Lewis College campus is home to 3,789 students from 50 states, 17 countries, and 155 American Indian tribes and Native Alaskan villages. Incoming freshmen who are also Colorado residents and who have excellent academic backgrounds are considered for merit scholarships with award amounts ranging from $2,000 to $6,000 each year. Academically outstanding out-of-state freshmen are also eligible for scholarships with award amounts ranging from $4,000 to $10,000 each year. Transfer tuition merit scholarships ($1,000-$3,000) are available for transfer students who meet the criteria. The New Mexico Reciprocal Scholarship gives admitted students from New Mexico the privilege of paying in-state tuition rates. Native American students who can provide tribal membership documentation may be considered for full tuition waivers. Qualified Western State Colorado University freshmen are considered for the following merit-based scholarships: the Founders Award ($4,000 or $8,000 for Phi Theta Kappa members), Summit Award ($4,000 or $8,000), Scholars Award ($3,000 or $6,000 for incoming transfer students), and the Advantage Award ($2,000 or $4,000). Colorado residents are given the lower award value, while out-of-state students receive the higher award value. Transfer students from outside Colorado are considered for the Mountaineer Founders Award ($8,000), Mountaineer Scholars Award ($7,000), and the Mountaineer Advantage Award ($6,000). Transfer students who are also Colorado residents are eligible for the following scholarship programs: Western Founders Award ($4,000), Western Scholars Award ($3,000), and Western Advantage Award ($2,000). Students who qualify for the Denver Scholarship Foundation-Presidential Scholarship at Western receive full tuition and fee waivers for four years. Founded in 1912, the University of Colorado in Denver is an urban university located on 126 acres in downtown Denver where its undergraduate population of 13,000 can choose from 130 areas of study. In addition to a number of departmental scholarships available, incoming freshmen can be considered for the merit-based Pinnacle Scholarship ($3,000 per year). Freshmen and transfer students are also eligible for the Regents' Scholarship ($2,000 per year) and the Urban University Scholarship ($1,500 per year). The average first-year financial aid package is $8,565. Through a combination of loans, scholarships and work-study opportunities, up to 52 percent of an incoming freshman's financial needs can be met. A first-rate college education does not come cheap these days, and finding an affordable college or university (across state lines or a few miles down the road) can be a challenge, to say the least. Fortunately, Colorado offers an impressive financial aid package along with grants and scholarship programs that can make the search a lot less daunting. Students in Colorado benefit from clear college credit transfer resources that make it easy to transfer courses and map out future pathways. With gtPathways, associate’s degree transfers, and the unique Degree Within Reach program, Colorado students are able to take advantage of excellent college credit transfer policies. With the gtPathways program, students can complete a general education curriculum that is guaranteed to transfer and apply to gtPathways requirements for every liberal arts and sciences bachelor’s degree program at public Colorado institutions. This satisfies general education requirements for the degree. While the gtPathways curriculum is not guaranteed to satisfy all general education requirements for non-liberal arts degrees, all coursework is guaranteed to transfer. Students who prefer to start taking courses at a community college can map out degree plans with detailed institutional transfer guides from the Colorado Department of Higher Education. These guides offer advice on what courses should be taken at a community college that will apply to bachelor’s degree requirements at a particular university. Students who plan to or have completed an Associate of Arts or Associate of Science may benefit from guided degree pathways known as a Degree with Designation. These statewide transfer articulation agreements allow students to graduate from a community college holding an associate’s degree with designation. When transferred to a four-year institution, this degree gives students junior status and the option to complete a bachelor’s degree in no more than an additional 60 credits. In addition to the Degree with Designation program, Colorado offers Degree Within Reach, a unique reverse transfer program for associate’s degrees. This program allows students to combine credits from Colorado community colleges and Colorado universities and apply them toward an associate’s degree. Students eligible for this program are granted a degree or informed of the credits needed to earn a degree and allowed to complete them. The program has no negative impact on academic standing, degree progress or financial aid ó simply a credential earned. All students looking for ways to pay for college on the cheap begin by filling out the Free Application for Federal Student Aid, commonly known as the FAFSA. However, each state offers a number of other ways to make college more affordable for their students. If you’re planning to go to a college in Colorado, check to see if you’re eligible to receive a stipend from the Colorado Opportunity Fund (COF). The stipend pays for a portion of the total in-state tuition for qualified undergraduates attending participating schools. There are several public and private institutions throughout Colorado that participate in this program. The COF stipend transfers with the student, so it can be applied to any college course offered by a participating college or university that you enroll in, providing of course, that you remain eligible for the program. You may still qualify for the COF stipend even if you don’t have lawful presence in the country. The Colorado ASSET legislation (Advancing Students for a Stronger Economy Tomorrow) gives students without lawful presence the opportunity to qualify for in-state tuition. If you meet the ASSET requirements, you will be considered for the COF stipend under the same conditions as U.S. citizens and permanent resident aliens. CollegeInColorado.org is another useful website for students seeking additional information on how to pay for college in the Centennial State. You can find information about college planning, the ASSET program, scholarships, and plenty of other timely tips that will bring you that much closer to obtaining a college degree on time and within budget. If you’re considering attending a Colorado community college as a way to save on college costs, you should visit CCCS.edu. 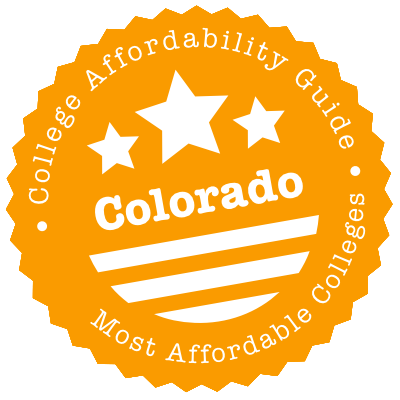 The website gives an excellent overview of the 13 colleges and 35 campuses that are part of the Colorado Community College System, the programs they offer (more than 800!) and funding opportunities. Finally, the state’s own Department of Higher Education page has excellent web tutorials on the different types of federal student aid that are available as well as offering up-to-date information on Colorado student aid policy. Summary: If you qualify for a Pell grant and are enrolled in a short CTE program that is not an approved Pell grant program, the CTE Grant is for you. Check here (Section 7.04.03) to see whether your community or technical college is approved to participate in this program. How to Apply: Submit a complete FAFSA, which should include an EFC that is Pell grant-eligible. Summary: Formerly referred to as the Colorado Student Grant, the CCRG is one of two need-based financial aid grant programs administered by the Colorado General Assembly for the State of Colorado. Only full-time undergraduates who are also Colorado residents are eligible for this program. The award amounts depend on the Expected Family Contribution, or EFC. These amounts are based on values for the 2016 academic year. Level 3 applicants, those with documented need and average ability to pay, receive any remaining CCRG funds after monies for Level 1 and Level 2 students have been disbursed. How to Apply: Students who wish to be considered for any need-based assistance in Colorado (such as the CCRG) must complete and turn in their FAFSA by the deadline. Students must also submit any other official documents or supporting papers required by the receiving institution. Summary: This is the other need-based grant program offered by the state. Applicants must be Colorado residents. The program is designed for graduate students who are enrolled in an approved critical career degree program. Check here to find out whether your graduate program has been given this designation. At present, the program has a maximum award amount of $5,000 per year. Eligibility: Applicants must basically meet the same requirements for the CCRG program above, except that they should be enrolled in a graduate program at an approved institution. How to Apply: Submit your completed FAFSA and any other supporting documents or records required by your graduate department. Summary: In an effort to keep the best young minds in Colorado, the Boettcher Foundation set up a merit-based scholarship program that gives qualified Colorado high school seniors a virtual full ride to any four-year college or university in the state. The scholarship covers full tuition and fees (including laboratory costs, if any), provides a living stipend ($2,800 per year towards room and board), and a book allowance, the amount of which is determined each year. How to Apply: Talk to your school counselor to see if your academic qualifications and college plans are a good match for the Boettcher scholarship. Applications are taken only through school counselors, but you can request an invitation to apply from them if you strongly feel that you meet the criteria for the scholarship and (more important) if you have firm plans to attend a Colorado college or university. Summary: Partnering with Denver public schools through their Future Centers located in Denver-area high schools, the Denver Scholarship Foundation (DSF) reaches close to 14,000 students and their families each year. A need-based scholarship program, the DSF awards as much as $13,600 over two or four years (depending on the type of college or university that recipients attend). Eligibility: To be eligible for this scholarship, you must meet the requirements below and apply within one year of graduating from high school. How to Apply: The steps needed to apply for this scholarship depend on whether you qualify for Federal Student Aid. See here to determine how to apply for this scholarship. Summary: Using their unique Whole Person approach, the Greenhouse Scholars program is committed to cultivating the next generation of dedicated community leaders. The program provides comprehensive financial and personal support that includes not only tuition assistance (up to $5,000) but also mentorship, professional networking, peer support and internship opportunities. How to Apply: The application process for the Greenhouse Scholarship program consists of three rounds. Find out more about the process here. Summary: Primary care providers working in locations that have been designated as health professional shortage areas may be eligible for repayment of qualified student loans of up to $90,000. Health professionals must work in public or non-profit clinics that accept public insurance and/or offer discounted services on a sliding scale to qualified low-income patients who are not covered by an insurance plan. The program requires health professionals to work for three years at an approved site on a full-time or part-time basis and meet hourly requirements for direct patient/clinical contact. Eligibility: Visit this page to see if your degree or practice is included in the list of eligible health professions listed under this program. How to Apply: Get in touch with the Primary Care Office of the Colorado Department of Public Health and Environment (303-692-6399) for details on how to apply for loan repayment, or visit their page here for more information. Summary: The Colorado Department of Public Health and Environment administers a dental loan repayment program that requires participants to provide dental services to underserved populations. In order to be accepted to this program, participants must work in the same site for a minimum of two years. Award amounts vary and are based on the number of uninsured patients and Medicaid, CHP+, and Old Age Pension patients seen each month. How to Apply: Applications for this program are accepted through the Colorado Health Service Corps Application as above. Keep in mind that application cycles are only open for the months of March and September each year. Summary: The Colorado Department of Military and Veterans Affairs offers a tuition assistance program for eligible members of the Colorado National Guard (CONG). More than 35 colleges and universities throughout the state of Colorado participate in this program, and tuition waivers of up to 100 percent are possible. The program is currently paying a maximum of $4,250 per semester for tuition at the approved schools. Funding from this program can be used with Federal Tuition Assistance. Eligibility: Only CONG members with either Title 10 (Deployment, Call-up) or Title 32 (Traditional, AGR, Federal Technician, M-Day) status are considered eligible for this program. How to Apply: Complete details on the application process and requirements can be found here. If you have further questions regarding this tuition assistance program, you can reach the Colorado Department of Military and Veterans Affairs at 720-250-1550 or email them at tuition@dmva.state.co.us. You can also find out more about other federal and state education benefits that you may be entitled to as a U.S. veteran or active military personnel by visiting the home page of the Colorado DMVA. Summary: There are currently 36 institutions that take part in the Colorado Work-Study (CWS) program. By law, they are required to allot at least 70 percent of their Work-Study funds for students with demonstrable financial need. The CWS program subsidizes employment costs to the student’s employer. Students receiving other need-based aid must make sure they do not earn more than their documented financial need. However, over earnings of up to $300 do not constitute an over award. How to Apply: Students apply for Work-Study opportunities in the same manner they would for regular job openings (submit a resume, go on an interview, undergo training if required, etc. ), except their application is processed through the Colorado Work-Study program. Summary: Under the DTAP, dependents of public servants who were killed or permanently disabled in the line of duty are qualified to receive financial assistance so they can attend an eligible college or university in Colorado. Dependents can qualify for a full-tuition waiver plus the cost of a double occupancy room and board for on-campus housing in a public university. DTAP financial assistance is good for six years from a student’s initial enrollment or upon the completion of a bachelor’s degree program, whichever comes first. How to Apply: Students should submit proof of dependent status and all other required supporting documents to the Department of Higher Education before the beginning of the semester. When the DHE has verified a student’s eligibility and the cost of attendance, funds will be disbursed to the school and the student notified. Summary: Colorado has tuition reciprocity agreements with designated institutions in New Mexico and Oklahoma, as well as with Western Nebraska Community College. Colorado is also part of the Western Interstate Commission for Higher Education (WICHE), which offers student reciprocity programs among its members, such as the WUE (Western Undergraduate Exchange) and the WRGP (Western Regional Graduate Program). Eligibility: Each state, college or university, and program have different eligibility conditions and application requirements. Check the links above to find out their current eligibility and application terms. If you’ve done your homework and found an affordable Colorado college, it may still not be cheap enough for you to pay for the rent and utilities, shoulder child and healthcare expenses, and put food on the table. The Colorado Department of Human Services offers several well-funded programs that can help you provide for yourself and your family and still keep you hitting the books as you work towards your college degree. The site contains a ton of useful information on childcare assistance, refugee services, food programs, energy assistance and so much more. So don’t feel that you have to choose between getting your college degree and providing for your needs and the needs of your family. Help is never more than a click or a phone call (303-866-5700) away. If you prefer to speak with a person, 211 Colorado has trained and experienced referral specialists who can assist you with non-emergency health and human services, including medical clinics, housing and emergency shelter, and legal assistance. If English is not your first language, the referral specialist will conference in a translator to assist. Hearing impaired callers can reach 211 Colorado by dialing 1-800-659-2656 to reach a TTY translator for assistance in using the service. You can also check out PEAK (Program Eligibility and Application Kit), a Colorado online service that makes it easy for residents to screen and apply for cash, food, child care and medical assistance. If you qualify for the Colorado Student Grant, the Colorado Graduate Grant or the Dependents Tuition Assistance Program (these programs are discussed above), you can use some of your grant monies to help pay for on-campus housing costs. If your income qualifies you for a Pell grant, you can also use some of this federal grant money to help pay for your housing expenses while working towards your college degree. In fact, most federal grant programs, such as TEACH (Teacher Education Assistance for College and Higher Education), ACG (Academic Competitiveness Grants), and the Montgomery G.I. Bill, allow recipients to use their grant money for all of their college-related needs, including housing expenses. On-campus housing and dining options are focused on the needs and lifestyles of students. For example, the Campus Village at the University of Colorado Denver offers individual leasing options (no need to worry about a roommate not footing their share of the rent on time), online rent payments, and flexible lease options. Whether you’re a freshman entering in the fall or a graduating senior off to the real world at the end of the spring term, UC Denver has a lease for you! At Adams State University, there are two- or three-bedroom, ground-level apartments available for married students or students with families. Wireless Internet, local phone and cable TV service, and all utilities are included in the rent. Keep in mind that these utilities and services typically require an installation or connection fee if you rent an off-campus apartment, so you do save on that. While it may not amount to much, every bit helps when you’re juggling several expenses each month. Living on-campus can also save you money if you don’t plan to stay at the university year-round (let’s say you’re spending the summer studying abroad or you routinely go home to your parents’ house for the summer break). Most regular apartment leases are from year to year, which means you can end up paying for a few months’ rent when you’re not even living in the state. You can always sublet of course, but you have to make sure your lease allows for that contingency (not all do). Most universities recognize the fact that quite a number of their students will want to experience living off-campus for at least part of their college career. In fact, the University of Colorado Boulder has an office dedicated to helping their students find off-campus housing. It’s called the Off-Campus Housing and Neighborhood Relations Office. In addition to poring over available apartments in their own compilation called Ralphie’s List, students can have their lease reviewed by an attorney at no extra cost, advertise for roommates, and even get a free energy assessment for the apartment of their choice from the university’s Environmental Center. These services can cost you a pretty penny if you have to pay for each one yourself. Colorado State University maintains a website with regular apartment listings and student-friendly complexes that are within walking or biking distance of the campus. If renting a regular apartment still seems beyond your current budget, there are still other options that are available to you. You will have to plan ahead and make sure you have all the documents that are required if you want to take advantage of these options, but they are out there. For example, Mercy Housing Colorado provides affordable housing options to low- to moderate-income families, people with special needs and seniors. The organization owns and manages properties in Denver, Commerce City, Durango, Fort Collins and Westminster. In addition to reasonably priced housing options, Mercy Housing offers resident services such as financial literacy programs, health service coordination, and out of school time programs. LowIncomeHousing.org helps people who are looking for affordable housing (HUD apartments, public housing units, etc. ), and they have a Colorado page. You will have to call the apartments on their list to see if you qualify for the income restrictions. Most of these places have waiting lists, so it’s good to start your search as soon as you make a decision about the college you plan to attend. You can also find other useful information on their website, including low-income housing grants and housing assistance for families. You can also conduct your own online search for off-campus housing. At CampusRent.com, all you have to do is enter the state and college or university that you plan to attend, hit enter, and browse the list of available apartments that pop up. If you want to cast your net a little wider, try ApartmentGuide.com for more options, and, as long as you keep the usual caveats in mind, Craigslist is often a good place to visit as well. If you find yourself facing a housing emergency, Colorado has a long list of shelters that can provide emergency or temporary housing. Furnishing your off-campus apartment can be costly. You can save money by getting only the essential pieces of furniture that you absolutely need and by furnishing your space with second-hand furniture that you can get for free (from your parents’ basement, for example) or at a Goodwill store near you. When you live on-campus, you won’t be socked with a monthly utility bill (that’s no reason not to turn the lights off every time you leave the room, though!). But off-campus living means paying a utility bill each and every month like clockwork. MyEnergy.com has a handy calculator that gives you the average electric bill per city, state or zip code. You can even find out how much people typically pay for electricity by the month, which is good to know in a big state like Colorado with cities located at varying elevations. Of course, you can also ask your landlord or the current tenants in the building or apartment complex you’re considering what the average utility bill comes to each month. If your income level qualifies you, you should definitely participate in Colorado’s Affordable Energy program, or CARE. At no cost to you, an authorized and experienced CARE energy advisor will inspect your home and assess its eligibility for the installation of cost-effective efficiency measures. You may qualify for (free) upgrades that include crawlspace insulation, hot water heaters, water-efficient showerheads or aerators, programmable thermostats, and air sealing. If you don’t qualify for CARE (or if the program is not available in your county), Colorado participates in LIHEAP (Low Income Home Energy Assistance Program), which is a federal program that assists eligible residents in paying for their utility bills as well as certain energy-related home repairs. It’s not easy to find affordable medical and dental insurance these days that also offer a comprehensive list of services. If you’re a Colorado college student, take heart. You actually have a good shot at obtaining excellent medical and dental care for a fraction of what it would typically cost without insurance, or even with other insurance carriers. Moreover, if you qualify for certain government-sponsored health plans, such as the Veterans Health Administration program or Medicaid, your primary care visits won’t cost you a dime, and ancillary services will be billed according to the benefits to which you are entitled. Most university health centers are willing to charge any co-pays to your student account, giving you a bit more time to find the funds without having to delay any necessary treatment. The Health Network at Colorado State University offers a wide range of services that all enrolled students can access, regardless of which health insurance carrier they have. Students don’t even have to be enrolled in the university’s health insurance plan to take advantage of the full range of health services available. The University of Colorado in Boulder provides comprehensive health care for CU students at four different locations. In addition to traditional treatment services (such as allergy shots, nutrition services, and wellness care), CU students can receive chiropractic and orthopedic care and treatment for trauma and athletic injuries. Even a small university like Western State Colorado University, with a 2015 student population of only 2,300 students, boasts of a medical clinic that provides care and management for common health problems, annual Well-Woman Exams, treatment of minor injuries, and sports physicals. If, for whatever reason, you do not have access to the student health center at your college or university, you may qualify for Health First Colorado, which is the state’s Medicaid program. Visit their website to check their benefits, find a medical provider or pharmacy, preventive care services, and other healthcare-related information. The Department of Health Care Policy and Financing administers the Colorado Indigent Care Program (CICP), which provides a wide range of discounted health care services to low-income Colorado residents and families. Keep in mind that this is not a health insurance program and costs can vary greatly, since services are provided (and priced) by participating hospitals and clinics. You may qualify for this program if you’re a Colorado resident who meets the income and resource limits and you are not eligible for Health First Colorado benefits. You must have Medicare and health insurance to be considered for the program. There’s no denying that college life can be stressful. Recognizing this, several Colorado universities provide free mental health services to their students, including Colorado State University and UC Boulder. Additionally, MentalHealthColorado.org provides free counseling and programs, such as Check Your Head and Mental Health First Aid, to Colorado residents. The School of Dental Medicine at the University of Colorado in Denver provides a variety of dental care services at prices far below what private-practice dentists charge. You can also visit the Colorado Dental Association website to find organizations throughout the state that offer dental care on a sliding-scale fee basis or clinics that provide services to special populations (children, people with disabilities, etc.). Some Colorado universities, such as UC Boulder, Adams University, and the University of Denver, have on-campus child care options. Although these services are not free, students can sometimes qualify for subsidized child care if they meet state income limits. The Child Care Access Means Parents in School (CCAMPIS) program offers financial assistance to Colorado State University (Fort Collins) student-parents who meet the income qualifications of the program. There are two fully licensed, on-campus child care providers at the university – the CSU Early Childhood Center and Sunshine House. Enrollment at both programs is strictly on a first-come, first-served basis, so enroll your child as soon as you find out that you’re qualified for CCAMPIS assistance. The Colorado Child Care Assistance Program (CCCAP) is administered through county social and human services departments throughout the state. The program supports individuals who are working towards self-sufficiency, be it applying for a job, going to college or getting additional job training, by providing child care assistance in the form of reduced-cost child care at licensed facilities or qualified (unlicensed) providers. Many Colorado universities (both large and small) offer free shuttles and buses to common area destinations (which, in the Centennial State, may easily include a ski resort or two! ), as well as carpool services, bike rentals and ride-share information. Check out the Transit and Transportation section of your school’s website for helpful information and timely tips. If your college is located in the Boulder area, you’ll love CollegePass, a program initiated by the Regional Transportation District (RTD) Bus and Light Rail transit system. For a nominal cost included in their tuition and fees, participating colleges can provide their students with unlimited rides on local and regional buses and trains. Although students cannot use the pass for special services, such as Access-a-Ride, RunRide, BroncosRide, etc., all trips to and from the airport are included in the CollegePass. At the current time, more than 100,000 students from 11 college and universities (Metropolitan State College of Denver, Rocky Mountain College of Art and Design, UC Boulder, Colorado School of Mines, etc.) use the CollegePass. It’s a great way to save on gas and parking fees for off-campus students and a small way to reduce the university’s carbon footprint. A large majority of CSU Fort Collins students walk or ride all over the campus and the surrounding area, but for greater distances, they rely on Transfort, the Fort Collins Public Bus System. CSU students, faculty and staff get to ride the buses for free simply by showing their university ID. Although there is no Sunday service, buses run Monday through Saturday from 6:30 in the morning until 10:30 at night. All things being equal, students need to be well fed in order to do well in school. Acknowledging this, the CU Denver Office of Student Life runs the CU Denver Food Pantry, which provides enrolled students with non-perishable food and personal care items at no charge. UCCS has a similar program called Clyde’s Cupboard, as does the Colorado State University in Pueblo. The Division of Food and Energy Assistance of the Colorado Office of Economic Security administers the Food Assistance Program, which provides food benefits to low-income households. If you qualify for the program, you will be issued an Electronic Benefit Transfer (EBT) card, which can be used like cash at grocery stores to purchase food items. Hunger-free Colorado can connect you to food pantries and free meal sites throughout the state and assist you in applying for and accessing SNAP (Supplemental Nutritional Assistance Program) and WIC (Women, Infants and Children) programs. They operate a bilingual (English and Spanish) food resource hotline (855-855-4626) for statewide assistance and (720-382-2920) for Metro Denver. You don’t have to choose between making sure your child is well fed and getting your degree. NoKidHungry.org is a Colorado-wide program that partners with private citizens, public officials, business leaders and non-profit organizations to ensure that children enjoy nutritious, affordable meals at home, in school and in their communities. In addition to programs that offer school breakfasts and summer meals, they have a Cooking Matters program that teaches low-income families to cook healthy meals at home. Food Bank of the Rockies work with over 800 hunger-relief programs in Northern Colorado, the Eastern Plains and the Western Slope. Although they do not distribute food and other essentials items directly from their warehouse, they can give you a referral to the nearest appropriate food assistance provider in your area. The cost of living in Denver is above the national average due to one important statistic: housing prices. Apartment rates can be tough for college students on a budget. Check out the Denver Office of Economic Development for valuable information on affordable property listings, tenant-landlord issues and rent payment assistance. The Denver Housing Authority owns and manages close to 3,900 subsidized apartment units, from high-rise properties to townhomes, and even the occasional single-family home here and there. The units are available to individuals and families who meet the low-income requirements set by HUD each year. The range of services and programs available from Denver Human Services is quite extensive. They administer food, cash and medical assistance programs, provide child care and child support services, and work with Denver residents and veterans on job placement and retention. Metro Caring is a Denver-based hunger-prevention organization that addresses people’s immediate need for sustenance as well as tackling the root causes of poverty and hunger. In addition to programs such as Health Foods Access and Nutrition/Gardening Education, Metro Caring offers job training opportunities in the areas of customer service, food safety, and food production and distribution. Additional services include financial literacy education, utilities assistance, benefits enrollment (for programs such as Colorado PEAK, SNAP and TANF – Temporary Assistance to Needy Families), and free health services to participants in cooperation with Denver health providers. Looking for free or low-cost health clinics in Denver? Helping Out America (see their Denver webpage here) has a list of Denver-area clinics that accept uninsured or under-insured patients. The clinics provide general and specialized medical treatments in addition to offering pediatric, dental and vision services. You will need to call ahead to make sure the clinic offers the service/procedure you seek. As a community outreach and referral organization, Helping Out America also provides information about government assistance programs, emergency help, and job training and work opportunities. There are many more organizations that provide a wide range of social services to Denver residents, which you can check out at the United Way Denver website. They offer programs that help individuals make the transition from foster care to independent living, reading and literacy programs, feeding programs and several others. The website for Denver’s Road Home provides helpful information not only about homeless shelters and housing options, but also about health clinics, food banks and child care. As the crow flies, Aurora is only 8.45 miles away from Denver, a distance that translates to about 17 driving miles (roughly 25 minutes); housing is not as expensive as Denver, but it’s still above the national average. A good place to start your search for housing, social services and child care information is the directory published by the city’s Community Relations Division, which you can access here. You can also call them if you prefer (303-739-7698) and leave a message in English, Korean, Spanish, Russian or Vietnamese. Most calls are returned within 24 hours. If your Denver college or university participates in the CollegePass program (see info on this above), living in Aurora and commuting to your classes just might be doable (you can always catch up on schoolwork or much-needed sleep on the bus or train!). No matter what stands between you and getting your college degree, there are non-profit organizations in Aurora that can help you stay on track towards your college plans. The Arapahoe County Department of Human Services covers the city of Aurora and provides financial assistance and protective services to its residents. The department administers several federally funded programs, such as LEAP (Low-income Energy Assistance Program), CCAP (Child Care Assistance Program) and SNAP (Supplemental Nutritional Assistance Program). Find out if you qualify for housing assistance by getting in touch with the Housing Authority of the City of Aurora at 720-251-2100. They own and manage several different types of affordable and rent-assisted properties and convenient market-rate housing. If you’re a veteran, inquire about their VASH (Veterans Affairs Supportive Housing) program. The College Success Team of College Track ñ Aurora provides academic and financial support for college students struggling to get by as they work towards completing their college degree. When you have exhausted all financial options available to you as a college student, the DOOR Award (Dreams Overcoming Obstacles to Reality) can help cover the remaining financial gap and get you well on your way to college graduation. Emergency funding is available for qualified college students. The Aurora Interfaith Community Services (AICS) is a non-profit organization that provides emergency assistance to Aurora residents. If you call early enough in the day, you may be able to pick up emergency food supplies on the same day. AICS can help you with groceries, clothing, emergency medication funds, utility payment assistance, school supplies, and even bus tickets. The number to call for services is 303-360-0260. There are more federal assistance programs that you may qualify for that will not only save you money but also keep you (and your family) affordably housed, well fed, and in good health. For a list of these government programs and other non-profit organizations in Aurora, check out the Aurora, Colorado Chamber’s list of non-profit organizations. Full details and contact information of each listed organization are included and readily accessible. The cost of living in Colorado Springs is on par with the U.S. average, so going to college and living in Olympic City USA can be more affordable than in Denver or Aurora. If your college or university is located in the downtown area, you can get around using the Mountain Metro Transit system, or you can bike or walk your way to and from classes. Colorado Springs has more than 100 miles of on-street bike lanes and over 120 miles of unpaved bike paths—enough to keep you in pretty good shape and you a ton of money on gas & car maintenance over time. Yes, it can be a challenge to stay within your budget, get regular health screenings and basic medical care, eat well and still get your college degree all at the same time! Check out these services available around the Colorado Springs area that may just help you cope and keep hitting the books. The El Paso County Department of Human Services is the place to start when you want to find out what financial, housing, child care or food assistance services are available to you while living in Colorado Springs. The SET Family Clinic provides primary medical care to Colorado Springs low-income residents who are uninsured or under-insured, regardless of their ability to pay full prices for services. Mental and behavioral health counseling along with nutritional counseling services are also available. SET offers free vaccinations year-round for children between the ages of 4 and 18. For emergency food assistance, visit the website of the Care and Share Organization for their locations in El Paso County, which covers Colorado Springs. You can also find out about their other programs on their website, such as their children’s nutrition initiative, commodity supplemental food program, and zero waste/goal zero recycling program. Colorado Crisis Services can help you deal with mental and emotional stress that can sometimes be more overwhelming than physical hunger. You can reach a crisis counselor no matter where you live by calling 1-844-493-TALK (8255). Translation services for Spanish-speaking callers are available. Their walk-in crisis centers are open 24/7, and there is one in Colorado Springs. An organization called United Way Battlement to the Bells provides funding for several non-profit organizations that serve western Colorado, including Colorado Springs. They cover the area from the Battlement Mesa to the Maroon Bells, hence their name. Their partner organizations provide services that include dental care, financial assistance, transitional housing, immigrant services, job training and work placements, and so much more.